If you have both kids and cats in your household, it's important to know the best ways to help them get along. You don't want any scratched toddlers, bitten preschoolers, pulled tails, or feline behavior problems resulting from stressful cat-kid interactions. Here's what you need to know to set the groundwork for a good relationship between your cat and your child. You can't expect a young child to innately understand how to interact with animals. In fact, a child may not be physically coordinated enough to control his or her movements and be gentle. And you can't blame a cat for defending his safety, territory, belongings, or food. After all, he's a cat. Therefore, the first and primary thing you need to do to ensure a healthy, safe relationship between your cat and your child is to always provide adult supervision during their interactions. You must be present to watch your baby, toddler, or preschooler around the cat and intervene immediately if necessary. Your child should not have access to your cat (and vice versa) when you are not present. This might mean installing baby gates in certain areas so you can send your cat and child to their respective places when you need to be otherwise occupied. 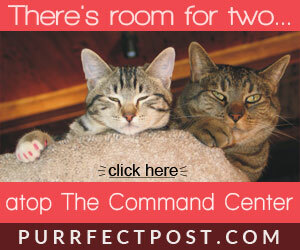 Or it could be that you set up a special room for your cat. Make sure that your cat's "safe spot" is equipped with a litter box, cat bed, toys, food, and water and that it's a safe and calm place for her. Being in this area is not a punishment, after all, and you don't want your cat to resent it. Having animals in your home is a great way for kids to learn about empathy and caring for others. 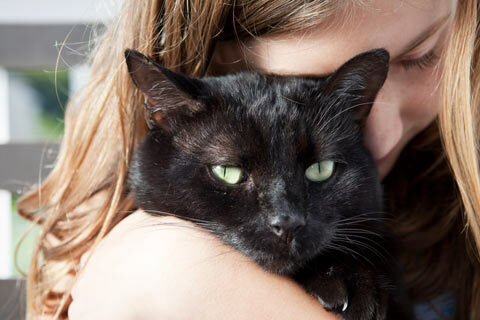 Here are some guidelines for teaching your child how to treat your cat and other animals. Always model good behavior. Demonstrate for your child how a cat should be treated through your words, tone, and approach when you are dealing with your kitty yourself. Show your child through your actions how to be careful and respectful toward cats. Talk with your child about how your cat is a thinking, feeling creature. Discuss how your cat is alive and has feelings, likes, and dislikes, and that he can be scared or hurt. This will not be a one-time conversation but rather something that you'll need to revisit frequently. Teach your child about feline body language. When you see your cat acting afraid, angry, or happy, verbalize that for your child. For example, you might say, "Charlie the kitty is scared: see his big, round, staring eyes? We'll leave Charlie alone now so he can calm down," or "Fluffy is jerking her tail back and forth. That means she's angry. We won't try to pet her or play with her right now," or "Pouncer's ears are flat back against his head. He's mad. We won't touch him right now." Show your child the proper way to approach a cat. Demonstrate often that it's best to approach a cat calmly, softly, and by extending a hand and allowing the cat to come over if he wants to. Also, be sure to teach your child that most cats don't love being touched on the belly, paws, rump, or tail. Don't allow your child to wrestle with the cat with his or her hands. Reinforce that a toy should always be used instead, to avoid unintended bites or scratches. Teach your child to leave the cat alone if he is sleeping, eating, or using the litter box. Even if he isn't in one of the places you've established as off-limits for your child to follow him, your cat shouldn't be harassed while he is sleeping, eating, or eliminating. Doing so might startle or irritate your cat and lead to injury for your child. Never allow your child to treat your cat roughly. Even if your cat is exceptionally sweet and easy-going, accepting fur and ear pulling with grace, don't allow your child to do these things. It isn't respectful to your cat, and it doesn't teach your child anything. After all, he or she may eventually encounter a cat that won't accept such behavior so calmly. Get your cat scratching posts. 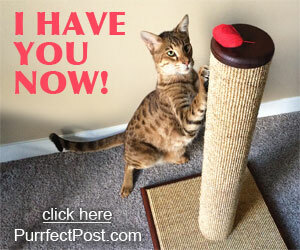 One of the best things you can do for your cat is to make sure that he has a scratching post or two. Scratching is an absolute necessity for cats. Not only is it physically good for them, providing exercise and stretching for their muscles and tendons, but it also relieves stress. The physical act of attacking and scratching a good post blows off steam for a cat. Scratching is also one of the ways that felines mark their territory, so it helps calm them down because they feel as if they've claimed their spot and can relax. 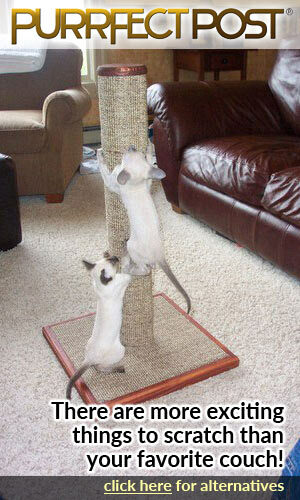 It's important that you choose a cat scratching post that your cat will love and teach him to use it. It needs to be sturdy, tall, and covered in a material that is satisfying to scratch. 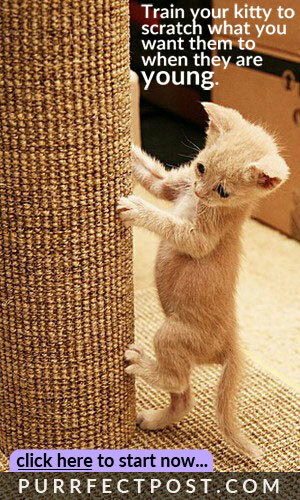 Sisal fabric is an outstanding material for cat scratching. Keep your cat fed, watered, and provide a clean litter box at all times. Your cat needs food, fresh water, and a clean litter box every day. These items need to be located in spots in your home that are quiet, calm, and have an "escape route" available. Cats don't like to feel penned in, and they will be reluctant to return to a spot where they were once taken by surprise and frightened. As discussed in the above section, teach your child to leave the cat alone while he is eating, drinking, and using his litter box. Ideally, place these items in areas to which your child doesn't have access. And don't put the litter box right next to the food and water: cats don't like to eliminate near where they eat and drink any more than humans do. Make sure your kitty has get-away spots where he can retreat from the kids and not be followed. Teach your child that when your cat walks away, he shouldn't be followed or chased. Additionally, make certain areas off-limits for your child to interact with your cat. These may include your cat's kitty bed, the "safe spot" mentioned in the above section, his scratching post, or another area that your cat seems to head to when it's clear that he doesn't want to be bothered. Make it a household rule that, when he is in these spots, as well as when he is eating, drinking, or eliminating, your cat isn't to be approached. Set aside time for play. Make sure you schedule playtime with your cat every day if possible. Focus on interactive play that involves prey-mimicking toys such as wands and mice. A cat that can release his predator instincts routinely will be more relaxed and able to handle stressors like kids more easily. Be sure you schedule kitty cuddle time. Take time out for snuggling, grooming, and holding your cat. Invite him onto your lap a few times a day when the kids are occupied with something else. Let your kitty friend know that your relationship with him is strong. Provide access to spots up high in your home. Height is extremely important to cats. They like to look down on things, especially if they are feeling nervous or frightened. Make sure that your cat has somewhere high to be in every room of your home. This will allow him to get above things if he's feeling annoyed with your child and observe for a bit until he feels more comfortable. Cat trees are one great way to accomplish this. The tree should be one of the places that your child is taught not to follow the cat, as described above. With a little bit of thought and attention to developing cat-safe practices in your child and providing stress-relieving opportunities for your cat, you can create a lovely environment where they can both thrive. And, if your child isn't old enough for these tips yet, take a look at this helpful article: "Cats and Babies: Setting up for Success."